During my past 20 plus years in valuation, I’ve had the opportunity to work with many successful business owners and executives in regards to tax reporting and compliance valuations. And, of course, one of their main concerns is how much it’s going to cost. Although there’s no “one-size-fits-all” fee for business valuations, I’ll do my best to give you some general guidance for what you can expect to pay (and watch out for) when choosing a valuation firm or professional. What’s Required for Business Valuations of Operating Companies? For tax purposes, your valuation advisor should provide a full valuation analysis and a comprehensive written narrative report, which includes schedules with specific point values. This report is required by the IRS and provides a full explanation of the approaches and methods used for the valuation. If a dispute with the IRS over the valuation ever goes to tax court, the valuation report is considered the expert’s direct testimony. Tax reporting and compliance valuations for operating companies are typically more expensive than valuations for real estate holding companies and tenants in common interests—which I’ve covered, in my last article. When valuing operating companies for tax reporting and compliance, you’ll typically see fees in the $7,000 to $20,000 range depending on the size and complexity of business being valued. As always there are exceptions: the fee could be lower for an extremely small, simple business, and can run well into six-figures for large, complex and multi-divisional businesses. It’s possible that your advisor can make adjustments if you are unable or unwilling to pay for a comprehensive report. Although it’s not advisable, you can ask your advisor to provide valuation schedules, a cover letter, and oral report—omitting the full valuation report (which, again, is required by the IRS). Because the complete narrative report covers so much and adds such a thorough layer of protection from potential issues, I would not recommend this. Of course, there could be one-off instances where a complete report just isn’t feasible. What Can Increase These Business Valuation Costs? Who Should Do Your Business Valuation? Plain and simple, you want the best advisor and analysis for the price. For top tier valuation services, there shouldn’t be much difference from firm to firm, so there are a few things you’ll want to do to ensure you choose the right partner for your situation. Your advisor needs to be qualified to provide the valuation. And although you can find many CPAs outside of valuation who may do your project for less, you’re probably best not to go that route. Experience is the most important factor when choosing a valuation firm or advisor. You want an expert who has strong experience reporting for tax purposes and defending those findings to the IRS. Has s/he worked with similar clients? And what do past clients say about them? Accreditation. The Accredited Senior Appraiser (ASA) designation from the American Society of Appraiser is a pretty good indication you found someone you can trust. This is probably the #1 accreditation recognized by judges as the premier designation for tax purposes. If judges trust this, you probably can too. The Accredited in Business Valuation (ABV) designation through the American Institute of Public Accountants (AICPA) is also a good one. Lastly, you should feel comfortable with your advisor. If you feel they aren’t there to serve your best interests… more times than not, they probably aren’t. If you’re looking for more information on business valuations or just need some advice, contact us today. 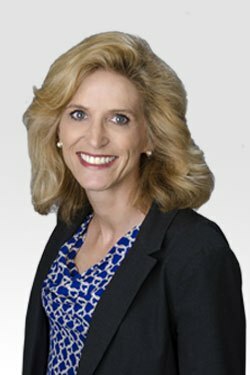 Cheryl Kessler is a Director at Vantage Point Advisors, Inc. She is an Accredited Senior Appraiser (ASA), a Chartered Financial Analyst (CFA), and the President of the San Diego Chapter of American Society of Appraisers. Cheryl has held Series 7, 24, 63 NASD Licenses and has over 20 years of experience in business valuation.